This is a Sponsored Post written by me on behalf of PlayStation MOVE. All opinions are 100% mine. Have you heard of the PlayStation Move yet? It is the new interactive gaming system that PlayStation has come out with. You have a controller that's movement is picked up from a motion sensing device in front of the game console, and that is how you play! You move and your player movement is just like yours..! How cool is that?! Imagine how much more fun family night could be when you are beating your siblings by playing Brunswick Pro Bowling or showing off your dance moves in Dance Dance Revolution®! With a wide selection of games including sports, action, party, family, and shooters and new ones launching all the time, there is something for everyone. The games are addictive and fun and the outcome of every move is all under your control. 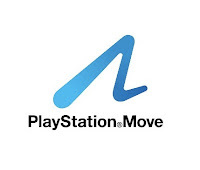 Plus, if you currently have a PlayStation®3 system, it can easily be turned into a MOVE. Purchase a MOVE bundle package for only $99 and convert your current PlayStation®3 into a motion gaming console. So, no need buying the complete console, just a MOVE bundle package would do it. Sony’s PlayStation®3 is undeniably popular and with the MOVE, they have created a benchmark which would be hard to achieve for others. Be it the technology or the comfort or even design, Move has surely people moving on its tunes..! Its all about celebrating your life..!